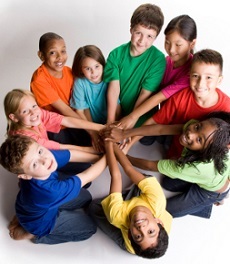 Book our Intercultural Understanding workshops now for your school. Click here to book. Explore diversity with this free interactive online resource. Aligned to the Australian Curriculum, Difference Differently offers modules in English, History, Geography and Civics & Citizenship for students in Years 3 to 10. Through the use of video, audio, images, quizzes and interactive learning activities, Difference Differently helps develop young Australians' intercultural understanding. Complemented by professional learning modules for teachers, Difference Differently is a powerful and engaging resource suitable for all Australian schools. Why is it important that students learn about diversity and difference?